Upon arrival you will be met by our representatives and will be transferred to your hotel which will be your home for two nights. 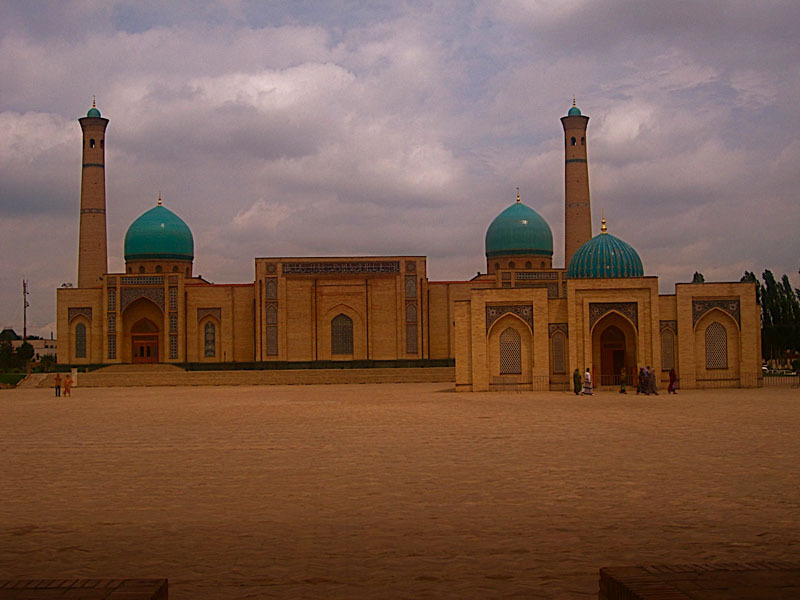 Well begin our exploration of Tashkent with a walking tour in ancient part of Tashkent. 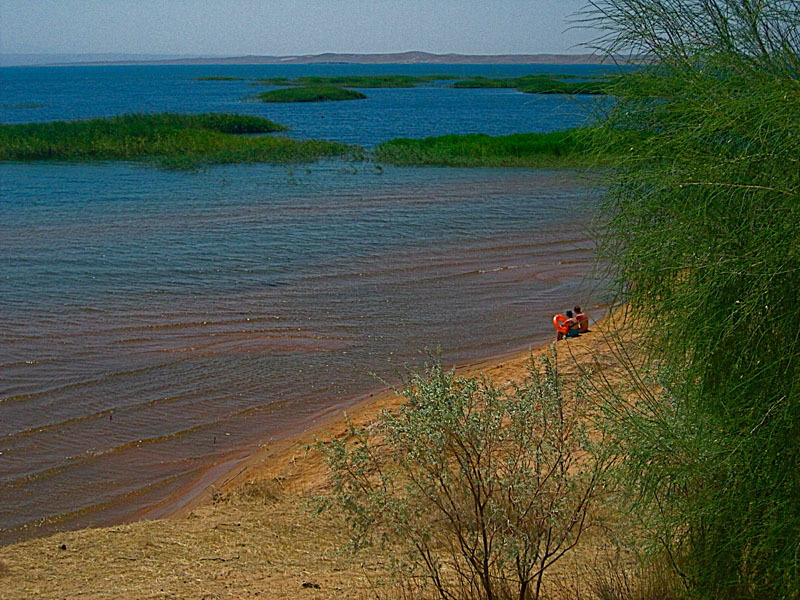 Then we will have a sightseeing day drive to Charvak Lake (90 km from Tashkent) in Tian Shan Mountains. Picnic. Horse back riding. Sunset photography. Overnight in Baldersai. Drive to Samarkand (300 km) stopping near the "gate" of Amur Temur where two mountain ranges meet. 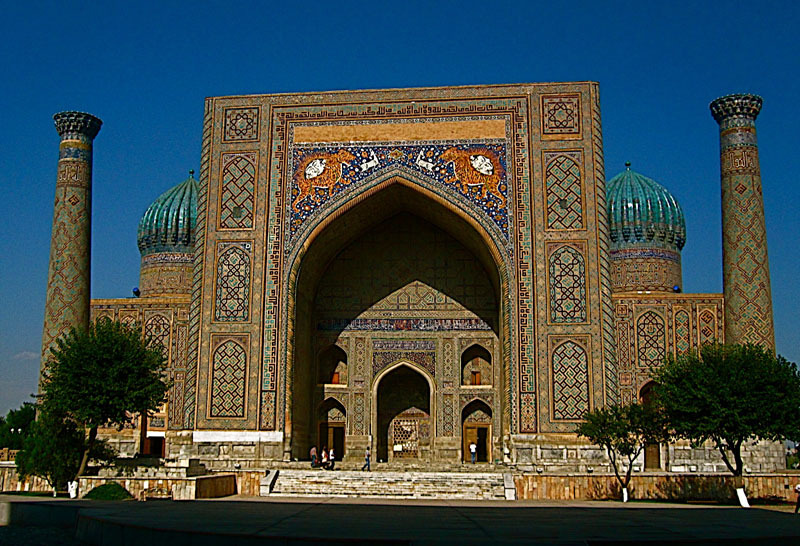 Samarkand is more than 2,750 years old! 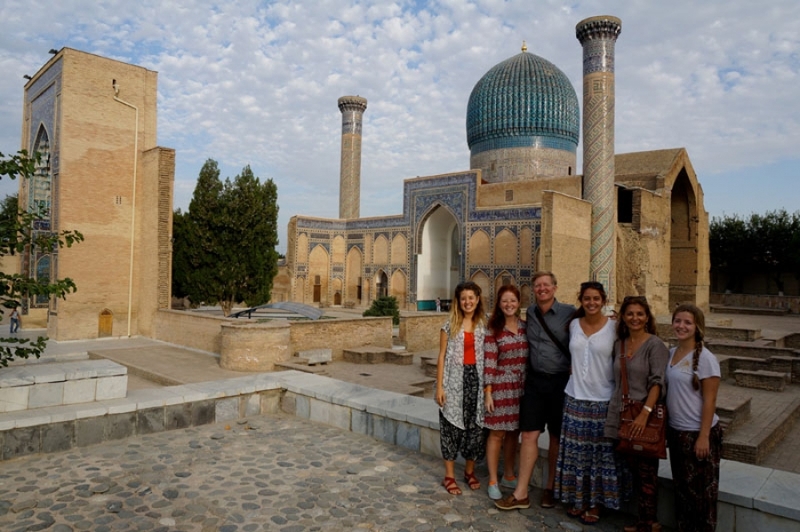 Sightseeing tour to Registan Square, the main attraction of Samarkand and an impressive place for holding the world's finest old and modern music festivals and holidays, Ulugbek's Observatory, XVth century. Breakfast. Continue sightseeing. Shah i Zinda Ensemble – ancient necropolis, Bibi Khanum Complex (the complex was build in honor of the wife of Amur Temur in the fourteenth century), Guri Emir Mausoleum (XIV century). Afternoon adventure drive to Lake Aydarkul through Nurato Petroglyph. Excursion to old Karmana town. Discover Sarmish Gorge to see rock paintings; Bronze age petroglyphs (Bronze period). Transfer to the yurt camp on the bank of Ayardkul Lake. 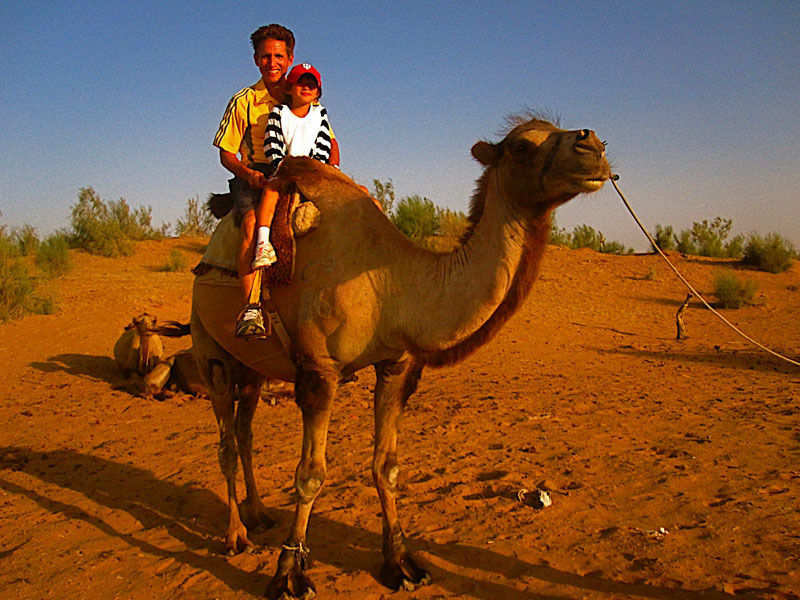 Enjoy fishing, camel riding, hiking, swimming and boating. Dinner with folklore show around the fire. Sightseeing drive to Bukhara through Gigduvan village. 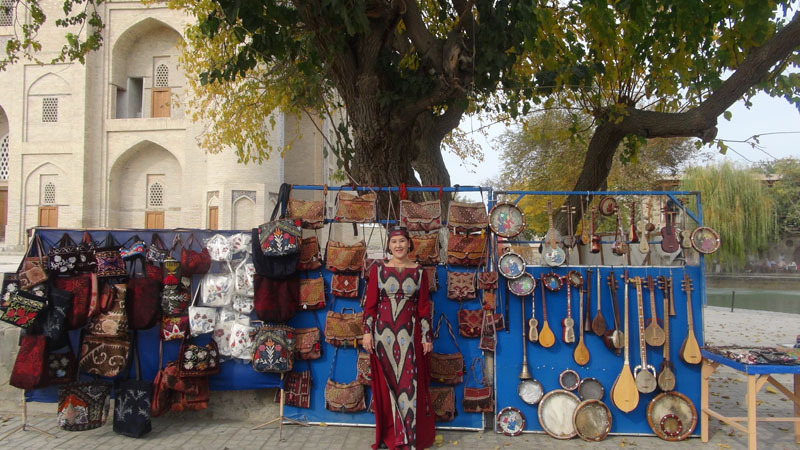 Upon arrival in Bukhara visit Labi Khaus Complex, heart of legendary Bukhara city. Explore the serene desert architecture of Bukhara at the Nadir Divan Begi Madreseh, Kukaldash Medreseh, Khanaka Nadir Divan Begi (XVI-XVII c.), visit the Jewish quarter and ancient Synagogue. The explore Magoki Attari Mosque (XII-XVI c.), the extensive trade domes and markets of the bazaar (XVI c.), the beautiful Poi–Kalon Complex with its legendary minaret (XII c.), Mosque Kalon and Miri Arab Medreseh (XVI c.). Explore Bukhara's ancient Fortress-Ark (The winter residence of local Bukhara Amirs, I c.), and the mausoleums of Ismail Samani (IX c.) and Chashma- Ayub (XII-XVI c.). Visit the Gazella Nature Reserve in a lush valley near Bukhara, named for the native gazelle of the region. Enjoy all the pleasures of Zeraphshan for dinner with folk-show in Medreseh Nodir Divan Begi. Early Breakfast. Drive to Ayaz Kala, the ancient Palace of the Khorezm Sheikhs. Our road takes us through the Kyzylkum Desert and the main Silk Road route, stopping for refreshments at the chaikhana along the way. Picnic. Photo opportunity near Amu Darya (Oxus River). Arrival in Ayaz Kala and stay in nomadic yurt. Dinner and folklore show around the fire. Breakfast. 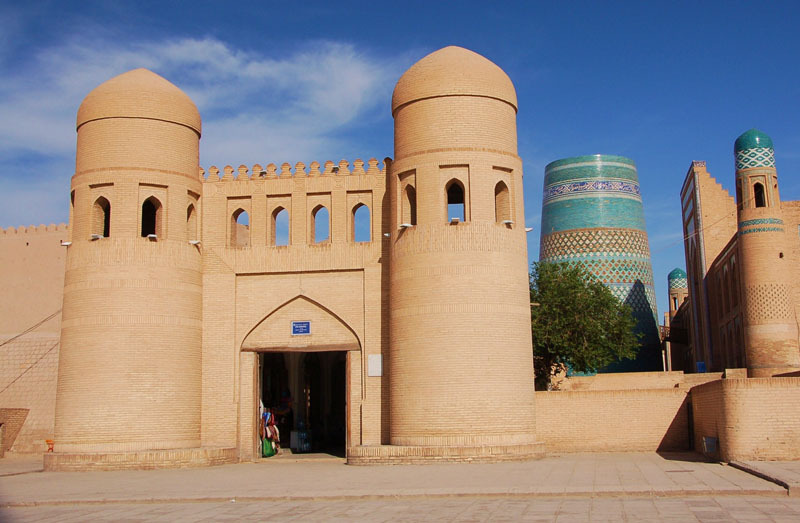 Sightseeing tour in the fairy-tale city of Khiva: Kunya Ark Fortress including Kurinish Khana, Mohammed-Amin-Khan Medreseh, Islam Khodja Minaret; Mohammed Rakim Khan Complex, Amir-Tur Medreseh, and the Sho-I-Kalandar Bobo Mausoleum. Learn to make traditional bread (non). Discover the Juma (Friday) Mosque with its 200 wooden pillars, Pakhlavan Mahmoud Mausoleum, Tash Hauli Palace (Stone yard), and Alla-Kuli-Khan Medreseh. 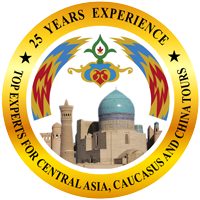 Flight to Tashkent and accommodation upon arrival. Farewell dinner. 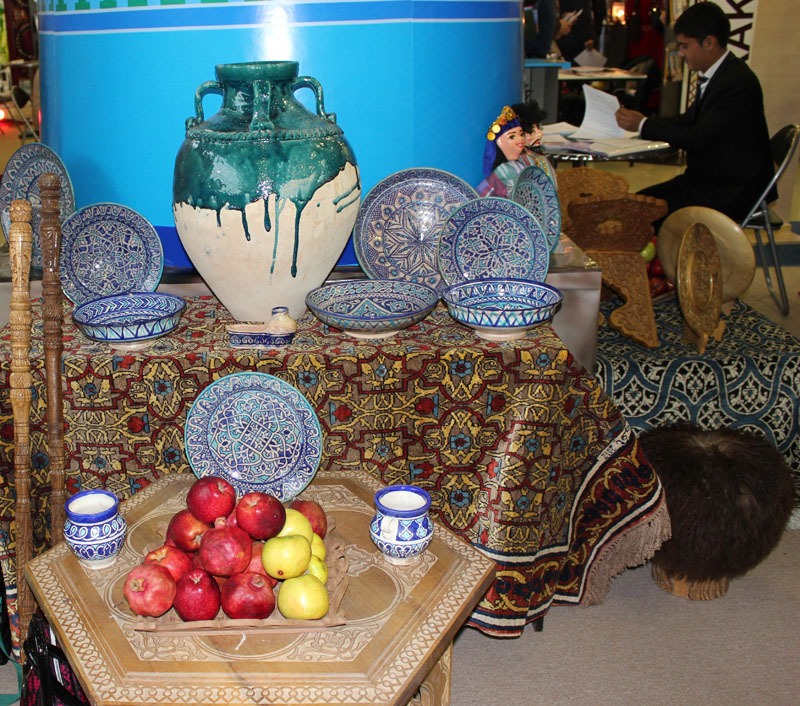 Travel "green" to the treasures of the Silk Road alongside knowledgeable guides with years of ecotourism experience. 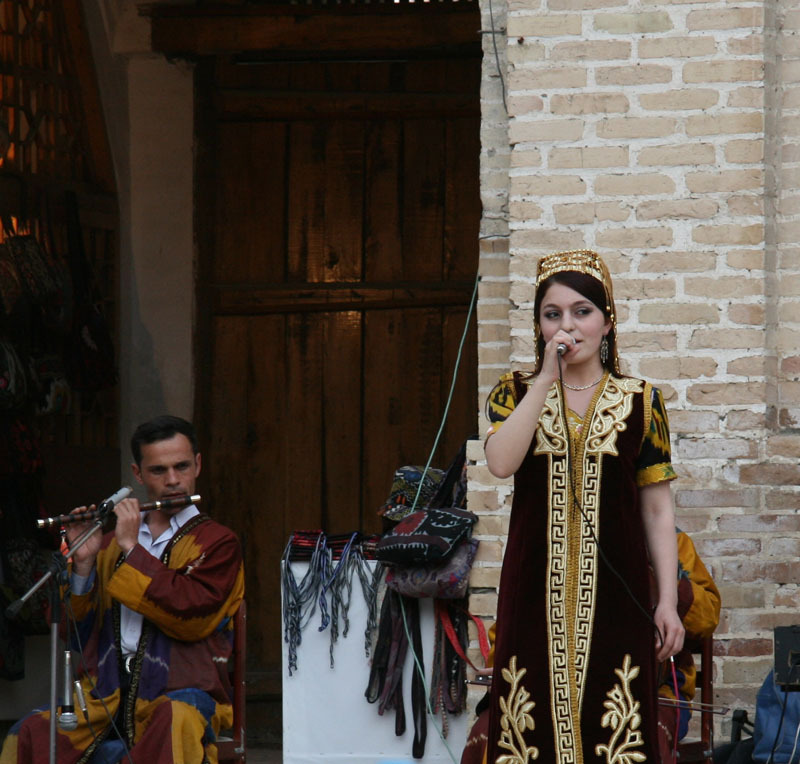 Come with us for environmentally and socially responsible travel to Uzbekistan. Take part in the many activities available; whether it's horse back riding, hiking or swimming! Find your peace in the Kyzylkum Desert's mysterious sites and soothing tranquility! Peter Hopkirk " The Great Game"